It was at the end of October last year that the prestigious Central European Startup Awards headed to Warsaw for the grand finale. At the awards ceremony and much anticipated after party, the ‘future shapers, the makers, the dreamers, and powerhouses of the CEE startup ecosystem’ had the chance to reveal their tech potential to the entire European region. 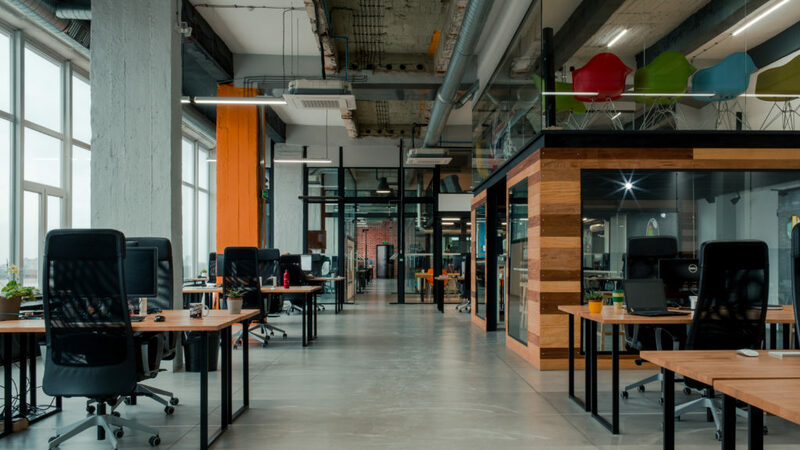 Among them was Bulgarian-based Puzl CowOrking, who since opening in 2015 has seen 550 people join their community as well as been host to more than 320 IT events. They’re not just a co-working space, however, as judges at the CESA awards were quick to realise. 150Sec recently caught up with the team to find out more about what Puzl really has to offer. Tell me about how Puzl started? Funny story. Puzl was never meant to be a coworking space. Back in the days, we were an IT startup developing a website builder. Our team was rapidly growing and we decided to move our office from Varna (on the Bulgarian sea coast) to Sofia. However, we had a hard time finding an office that would feel right and be flexible enough to support our long-term growth plans. We spent months looking until one day we came across the ex Vitosha factory and things just clicked. It was dusty and semi-destroyed but we could envision its transformation into a gorgeous workspace. And that’s how it all began. Six months later we had a very cool and quite a big office for our team at the time. We shared it with other fellow startups and this is how the Puzl community was born. Three years later, we are more than 600 IT humans and 90+ companies. What kind of talent do you have working with you at Puzl? We are an IT-only coworking space and everyone here is somewhat part of the tech industry. This helped us build a strong community of like-minded individuals who share the same values and help each other with knowledge and contacts. We have dedicated communication channels where everyone can seek help from the community and this is quite useful, especially when you’re just starting out. There are plenty of co-working spaces across Europe, what makes you guys stand out? Our culture is a magnet for great people. There are not many places where you can go and immediately feel accepted for who you are. As I mentioned before, our community shares the same values and people trust each other. That’s why it’s so easy to share, collaborate and ultimately grow together. Being IT-only has played a huge role in that, but it’s not the only factor. The fact that we as a team used to be in the shoes of our members has helped us anticipate their needs and build a place where people work efficiently and give back to the community. Why have you chosen Bucharest and Budapest for the new office locations? When can we expect them to be open? Bucharest and Budapest are marvellous cities with huge potential. We chose them because they have a similar vibe to Sofia and we believe that our concept can bring a lot of value to the local IT communities. Currently, we’re in the final stages of negotiating the buildings so we expect to open our first location by the end of 2019. Tell me about your fondest memories of Puzl since the office space has launched. Wow, that’s a hard one. Three years down the road a lot of exciting stuff happened. Some of the greatest memories I have are from the furniture setup parties that we throw every time we open a new space. We buy gallons of beer and invite all the members to give us a hand mounting their desks and chairs – fun times. Also, we throw awesome Christmas parties where we gather the entire IT community to celebrate together. The night we won our first CESA award was quite a night, too. The next thing we’re super excited about is opening our next location abroad. Then you can ask me again. What do entrepreneurs look for in a workspace, and how do you predict this will shape the future of office spaces in the future? Entrepreneurs strive for flexibility, efficiency and community support. That’s why they choose coworking spaces and that’s why the industry will keep growing in the next 5-10 years. Thanks to AI and IoT we’re getting much more insights about people’s preferences and which helps us design better spaces and keep improving the coworking experience. In the same time, regardless of the technology advancement, I believe that community will always be the focal point of a coworking. We are able to attract a certain part of the society which is capable of bringing positive change to the world and we’re excited to give a platform for these ideas to scale. What did you think of the Startup Awards Grand Finale, and how do you think the award will help you going forward? Well, we couldn’t make it to the Grand Final because we were celebrating our 3rd birthday in Sofia. However, we shot a special video for the CESA guys which they streamed during the ceremony. It’s called Puzl Rangers and it’s a parody of the old school classic Power Rangers. We had great fun shooting the video and you should definitely check it out. Other than that, it felt great to get so much support from our community for the second year in a row. We’re humbled by the recognition and we’re more determined than ever to bring together the local IT communities in CEE. The award has opened us many doors and we’re thankful for it. What do you think is special about the startup and entrepreneurial community in CEE? Our region has brilliant software engineers and tech talent in general. We have strong traditions in STEM education which has been a catalyst for the first wave of tech companies in CEE. However, we lack the marketing and sales skills needed to conquer foreign markets. That’s why we, at Puzl CowOrKing, are so passionate about uniting the IT sector in CEE and laying the foundation for more success stories from our countries.